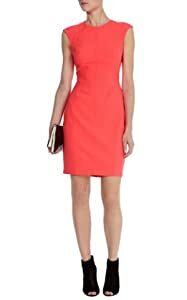 Understated and elegant shift dress presents a minimalist approach to feminity. 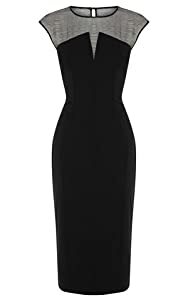 There is nothing more modest in a dress fashion than a simple shift dress but somehow it made it to the wardrobe staple list. The secret is mixing ladylike accessories with a simple shift dress that leaves it all to the imagination. The tried-and-true day frock? 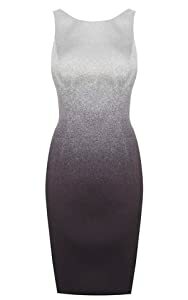 The shift, a short and usually sleeveless dress that hangs from the shoulders. 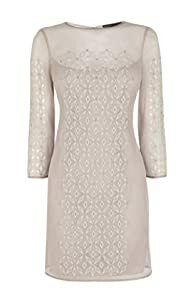 Boasting clean lines and an effortlessly chic mod attitude, the shift dress presents a minimalist approach to feminity. For the ultimate Twiggy feel, accessorize with knee-high boots and a structured bag. To the office, enhance your style with cute pumps instead. In spring summer it is a season’s must-have dress type. 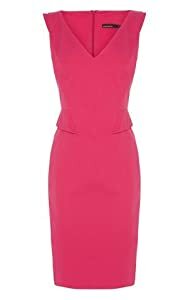 Victoria Beckham has already proved it in her spring summer 2011 fashion collection (very successful one to be honest) where she favoured colour-pop versions of a shift dress. The singer-turned-fashion designer has sported – herself – a marigold shift dress and sparked a question whether the cheerfully coloured dress really suited her moody unsmiling face. Shift dress is a simple dress solution for everyday activities. It will work best styled with minimal accessories – what you can really play with are shoes, especially high-heels or booties (in case of colder days). Vibrant colours promise to cheer you up after months spent on a snow-covered world. Shift dresses in graphic patterns, bright colours and more, this loose silhouette is both stylish and easy to wear.